Novel chemicals building blocks – American Oil Chemistry Society “Inform” magazine. 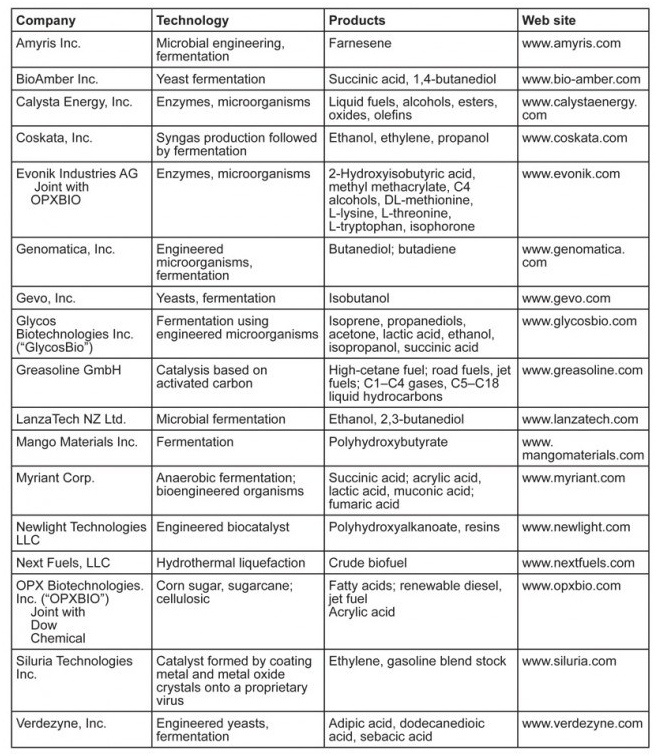 The American Oil Chemists Society (AOCS) has published a free access article on its magazine, INFORM, presenting a complete spectrum of drop-in renewable chemicals and novel chemicals building blocks ( such as glucaric acid, itaconic acid, levulinic acid, etc. ), and their manufacturing processes, in a summarized form.